It’s now easier than ever to get your friends and family to sign up for Engage! Use our new sign up cards to encourage members of your church, small group, or even work colleagues to sign up for BMS’ flagship magazine. The cards are completely free, as is Engage. Once they’ve subscribed, they’ll get inspirational and empowering stories of BMS work across the world straight to their doorstep three times a year. Don’t let anyone miss out! Order your sign up cards today. 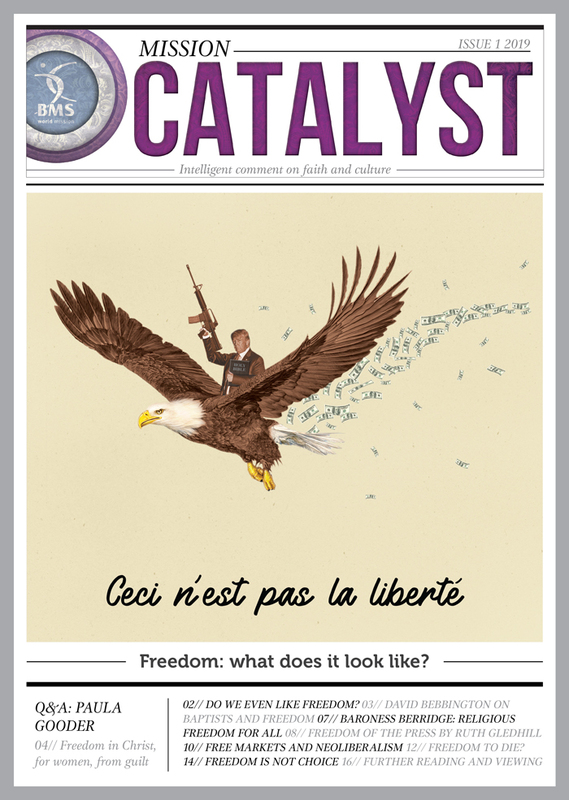 This issue of Mission Catalyst features the thoughts of Paula Gooder, David Bebbington, Baroness Berridge and others on the theme of Freedom. Mission Catalyst is BMS World Mission’s magazine for thinking Christians, providing intelligent comment on faith and culture. Each issue of Mission Catalyst features Q&As with challenging thinkers, accessible articles and the space to think deeper and more broadly on the most important issues facing our world. Subscribe now to get three issues a year. 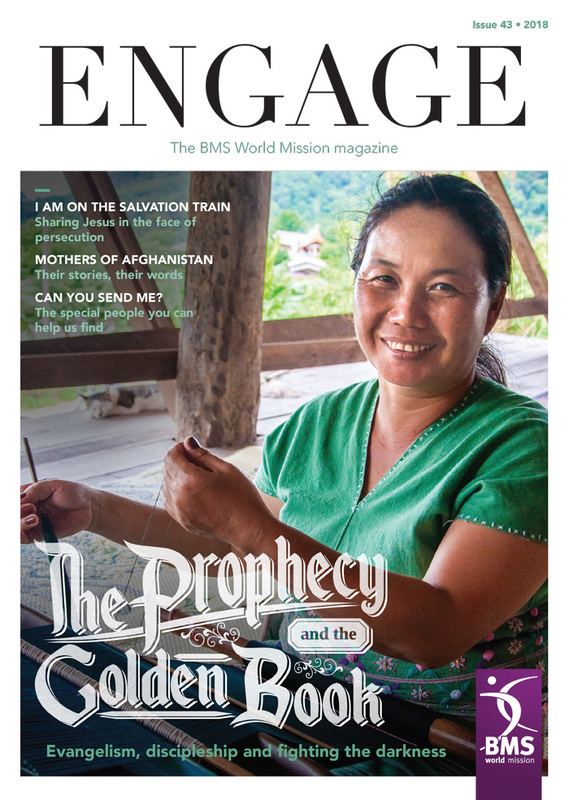 Experience life across the world by reading the latest edition of Engage! Discover a people who were brought to faith because of an ancient prophecy. Find out whether you’ve got what it takes to serve overseas with BMS World Mission. Read the story of a BMS worker who can’t tell you who they are or where they are serving – but who can tell you how God’s love is changing people’s lives there. Subscribe now to receive Engage three times a year, free of charge, and we’ll throw in our Prayer Guide too! 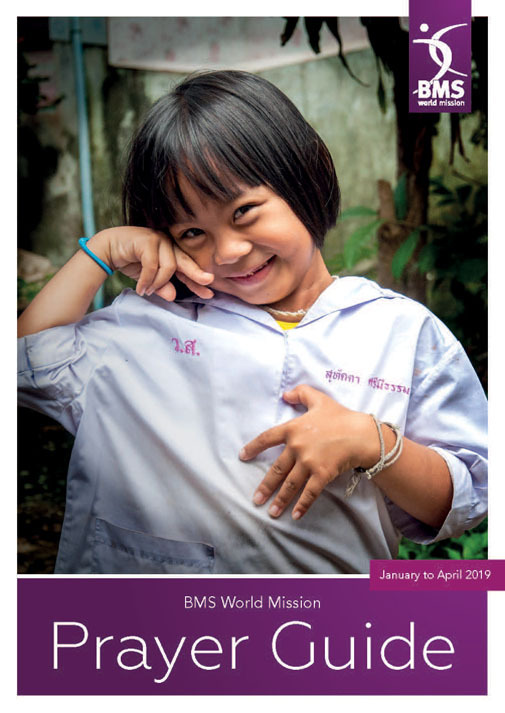 The first issue of the BMS World Mission Prayer Guide 2019, complete with inspiring photos and Bible verses. Perfect for groups, churches and individuals. This Prayer Guide includes prayers for BMS work for January to April 2019. 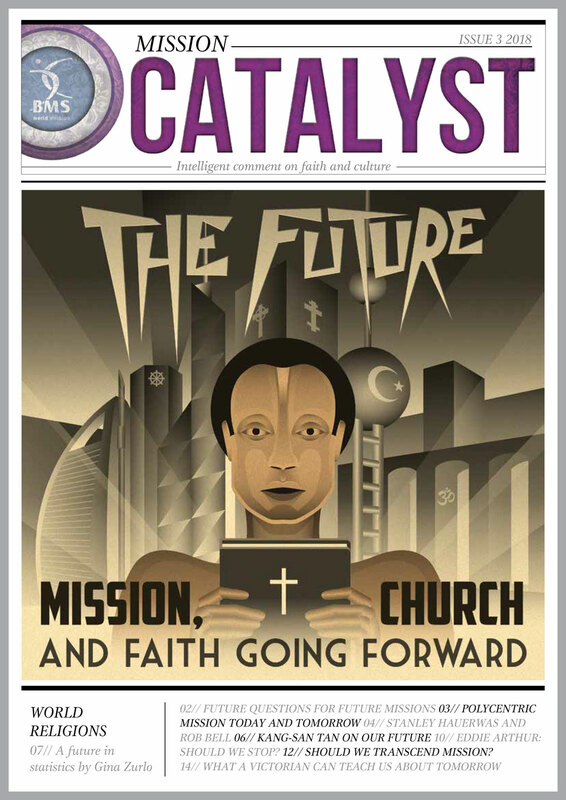 This issue of Mission Catalyst focuses on the future: mission, church and faith going forward. Mission Catalyst is BMS World Mission’s magazine for thinking Christians, providing intelligent comment on faith and culture. Each issue of Mission Catalyst features Q&As with challenging thinkers, accessible articles and the space to think deeper and more broadly on the most important issues facing our world. Find out how you can support our pioneer church planters in prayer over the next 12 months by reading Engage! Helen and Wit Boondeekhun are sharing the gospel in an unreached Buddhist village in Thailand and they’d love for you to stand with them by committing to our prayer challenge. 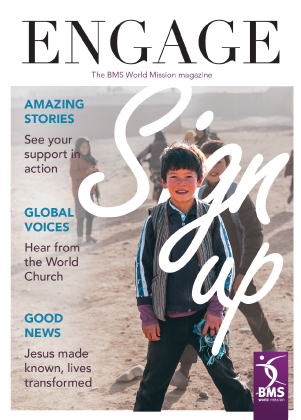 Also in the latest issue of Engage: how you’re saving lives in Afghanistan, the Syrian refugee children you’re sending to school, and the coffee morning that’s been supporting mission for 65 years. Don’t miss it! Subscribe now to receive Engage three times a year, free of charge, and we’ll throw in our Prayer Guide too! 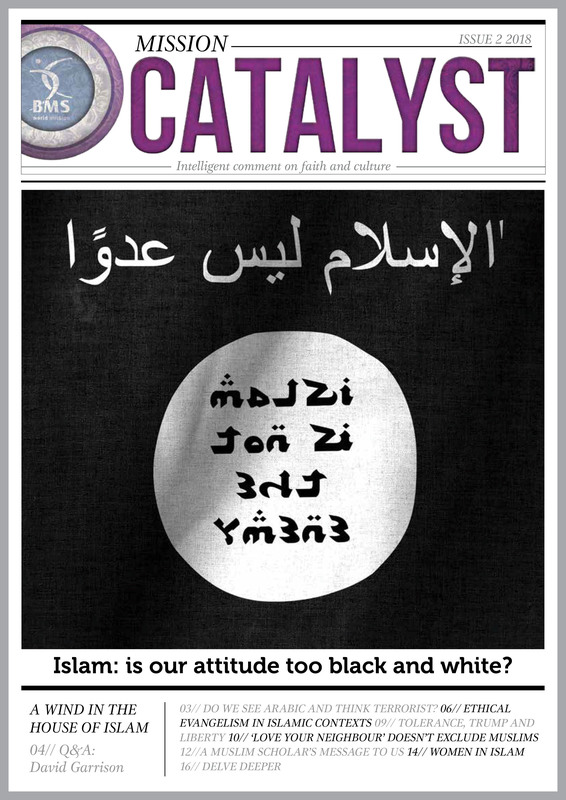 This issue of Mission Catalyst focuses on Islam: is our attitude too black and white? Mission Catalyst is BMS World Mission’s magazine for thinking Christians, providing intelligent comment on faith and culture. Each issue of Mission Catalyst features Q&As with challenging thinkers, accessible articles and the space to think deeper and more broadly on the most important issues facing our world. If you’ve ever wondered how you can help tackle modern slavery in the UK, or what it’s like to teach English in China, you’re going to enjoy reading this issue of Engage. It also features exciting news from our surgeons in Chad, stories of amazing Christians raising support for us, and a beautiful pull-out poster from our work in Afghanistan. Don’t miss it! These are some of the amazing stories that are featured in the latest issue. Stories that are made possible because of people like you. We hope you enjoy reading them! BMS World News is a publication that comes out six times a year and is perfect for slipping into your church bulletin or service notes. It’s jam-packed with news and stories of what God is doing through your support for BMS World Mission. 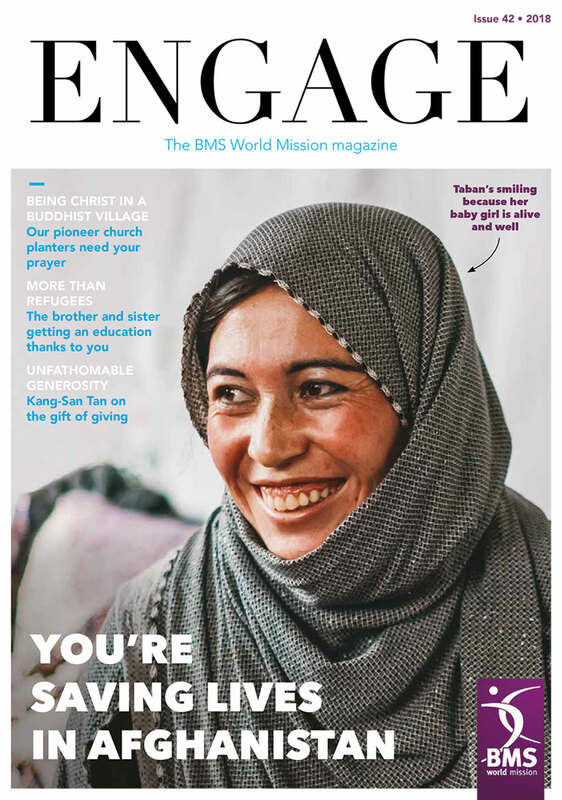 The latest issue of Engage, the BMS World Mission magazine, is full of stories of how your giving is transforming lives. 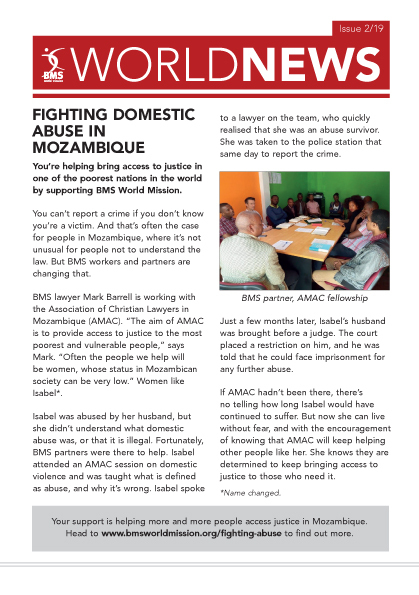 Christian lawyers are speaking up for the poor and oppressed in Mozambique. Boys in West Africa are learning through football that they’re valuable to God. These are some of the amazing stories that are featured in the new issue of Engage. Subscribe now.